The kitchen floor is strewn with flour, my nails have dried dough embedded round the edges, and there is a softly residing smell of something that had vanilla in it from the oven. My kitchen, where breakfasts, lunches and dinners begin and dishes mount with heady regularity. Tomato and olive oil flat bread headed for a party in the park. Easy to make and easy to take. 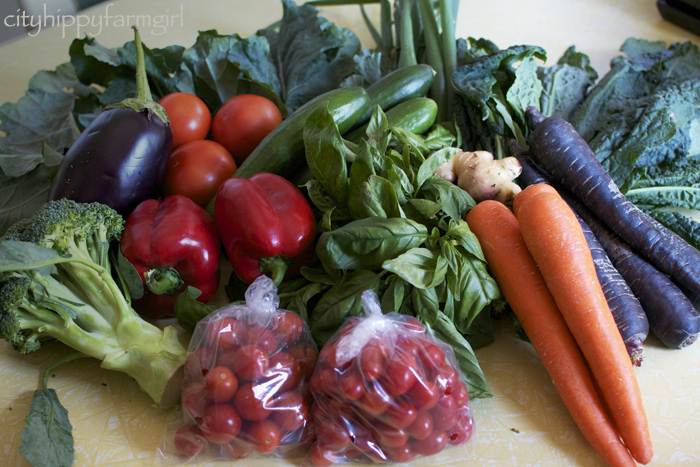 Farmers Markets goodies- $30 this cost. Locally grown just out on the edge of Sydney. Chemical, and spray free, and picked just a couple of days before. The farmer who lovingly grew all of this, predicted I would have a girl. She’s so busy with her market stalls at various farmers markets around Sydney I haven’t had a chance to tell her…that she was right. Instead, I show her my love by choosing where my vegetable dollar goes. Honey and wholemeal spelt (oh and not to forget buckwheat) are probably my two most reached for ingredients in my baking at the moment. They both feel honourably wholesome and I’m loving the results they both give out. Old recipes are being switched round and new recipes are being tinkered with. Mix it all together, roll into balls, squish them down slightly onto a lined or greased tray. Bake at 180C until golden. For more kitchen action, have a peek into Celia’s kitchen and some of the others linking up. This entry was posted in Food Glorious Food and tagged berenberg, Eating Locally, farmers markets, flat bread, honey spelt biscuits, in my kitchen, no sugar, sourdough, wholemeal spelt by cityhippyfarmgirl. Bookmark the permalink. Pinned them both Brydie. 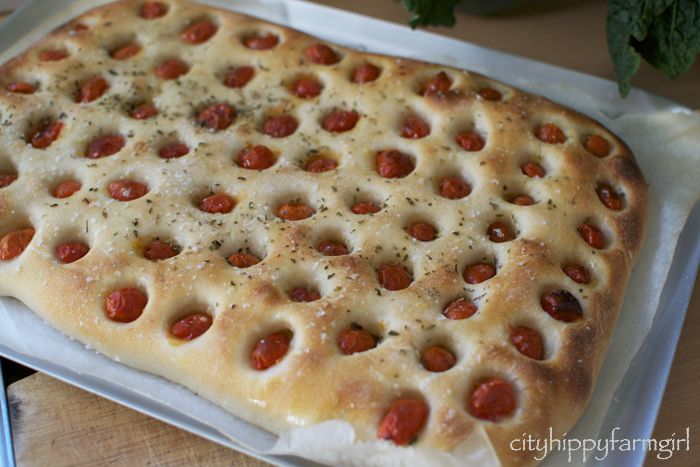 Your tomato and olive oil flat bread is spectacular. So graphic-looking too – like the tops of sleeping gnome heads. Less and less products these days CL, so very disappointing. The biscuits are dead easy. I’m just starting on the journey to an organic, chemical free home. My local markets are Addison Rd and Orange Grove, but are still finding my groove. 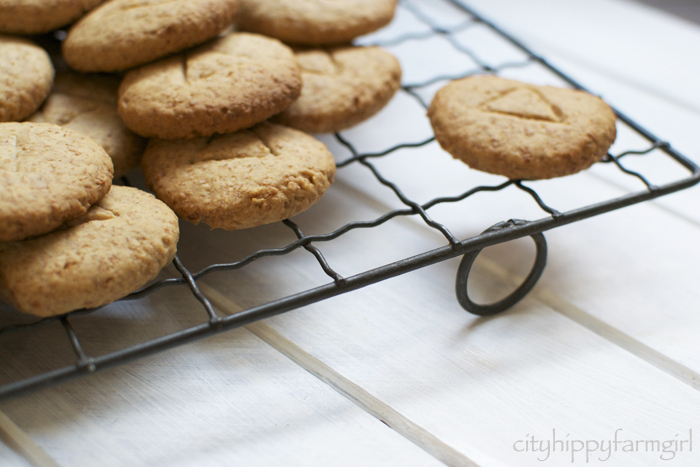 Love the look of these bikkies…how simple! So coming to your kitchen for some baked goodies – just kidding:) Have a Great Day! Drop in Renee, I’d love to have you over! I’ve been using more spelt in my baking – following your example, Brydie – and I always prefer to use honey rather than sugar or corn syrup. This is the vegetable seller/grower with those beautiful growing hands? I love that picture- my mother had hands that looked like hers- they were always planting something in the soil. My hands are normally flour encrusted, with dough stuck under my nails, but come Spring, I have to wash a lot of dishes before I make bread- so I can get the dirt out from under my nails. My two sensory loves- flour and dirt! Dirt and flour…there is a lot to love with those two! Lovely goodies for sure Brydie! I have certain brands/products I religiously stick to as they’re all Australian products and I don’t mind paying extra at all to support our own farmers. Exactly. So we should be paying a little more to support them. A lower price and you are comprising on so many other things as well. Lovely sounding honeys Jane. I think these basic biscuits would be fine for that as you can really taste the honey flavour (I always go for a dark, stronger tasting one.) Maybe a honey halva as well would show them off?? I adore your flat bread…perfect park/picnic food. Yum! Hi Brydie, Love the look of those biscuits. I might give them a try. Thanks Glenda, give them a crack. It should Tandy, it really should. Oooh, that IS exciting Johanna. Have one really close by is wonderful. I know, bargain right… I’m sure it would be more if I had bought the same stuff in a supermarket. These biscuits look lovely! And in fact, your whole kitchen looks lovely. Supporting farmers you value – nothing better than that. Thank you Kari… and totally agree about the farmers. 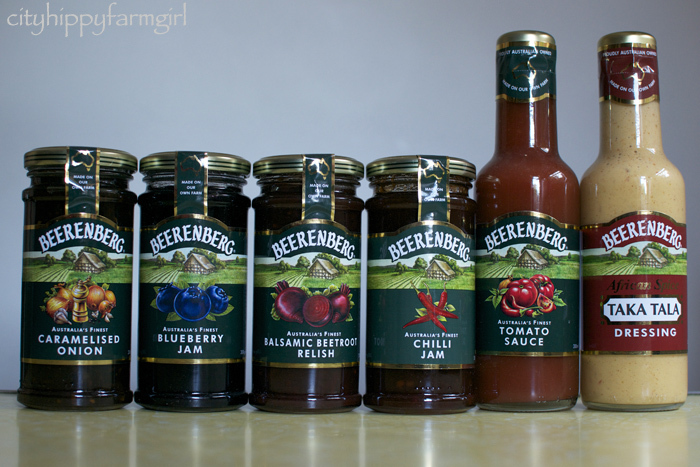 Hi Brydie, great prize catch there from Beerenberg! Fabulous flatbread. I think everyone has the same problem with wanting to buy local food. But what do you do when faced with two identical cucumbers in the shop when the local one is more expensive than the one that’s still grown in the same country but further away? I bought wholemeal spelt flour thinking it was gluten free – to bake for a friend. Only to discover that it is NOT. Definitely giving this easy recipe a try!